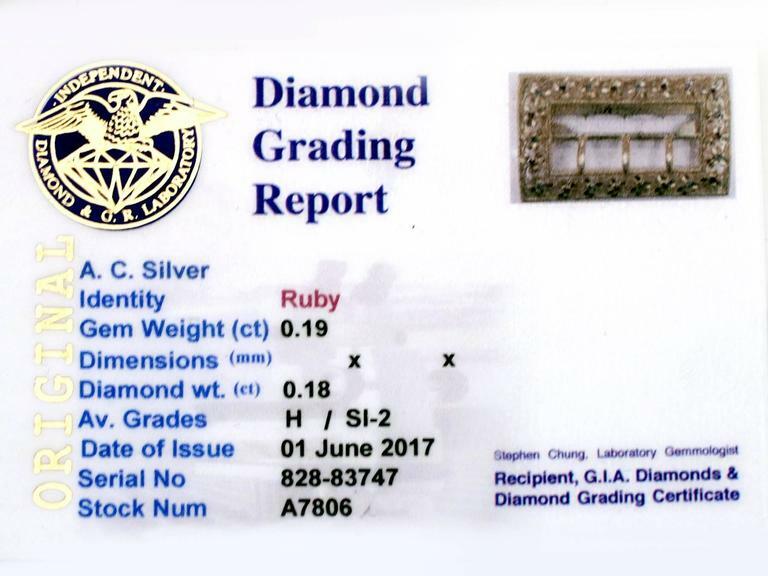 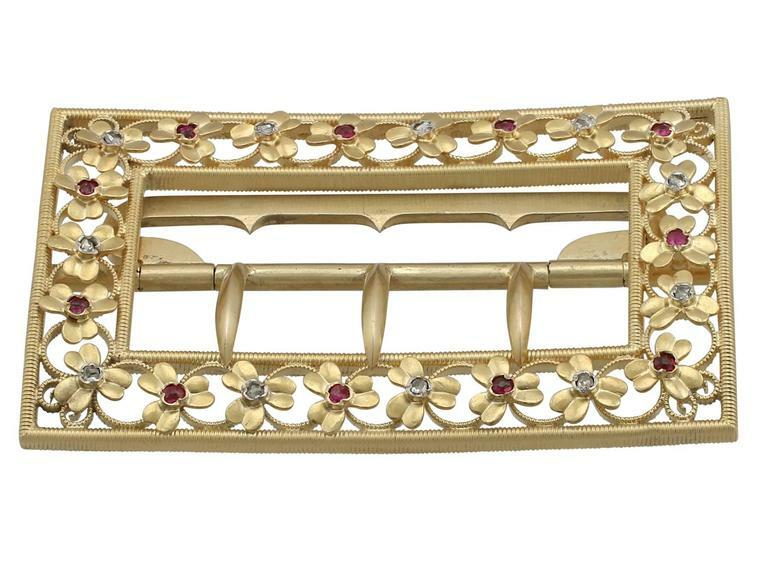 This impressive example of antique jewelry if exceptional quality set with rubies and very well color matched, very high color graded old cut diamonds. 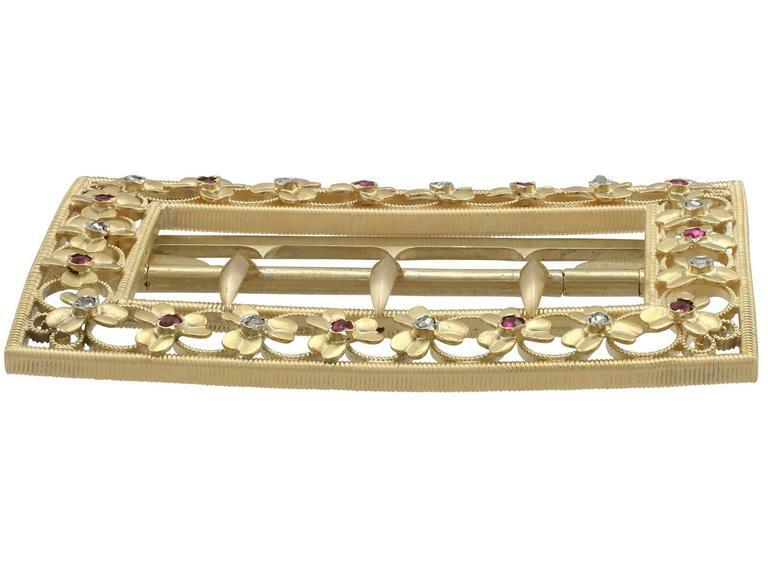 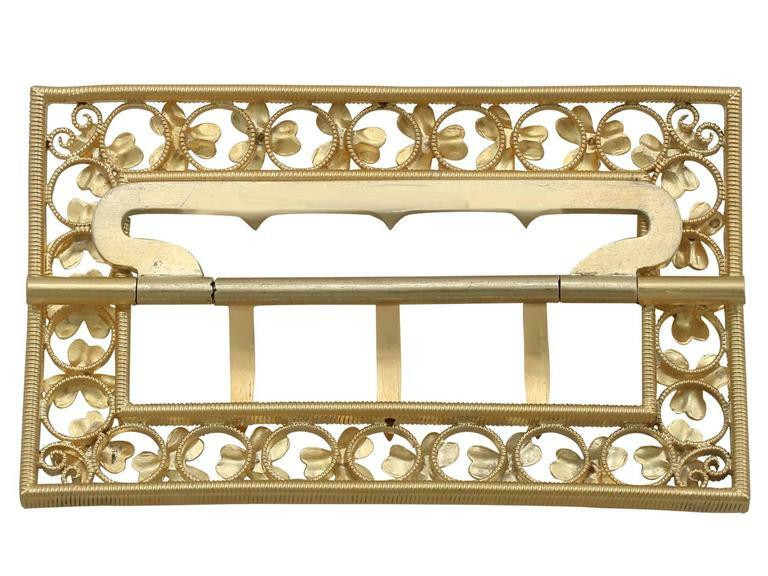 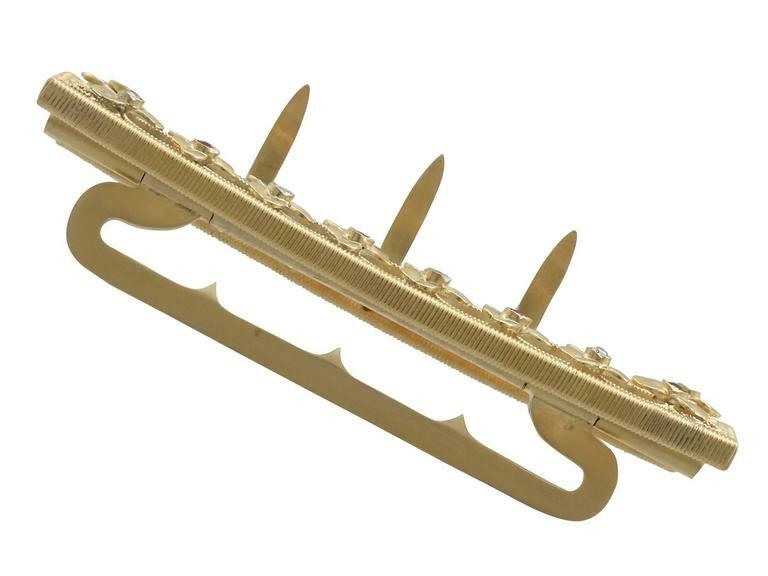 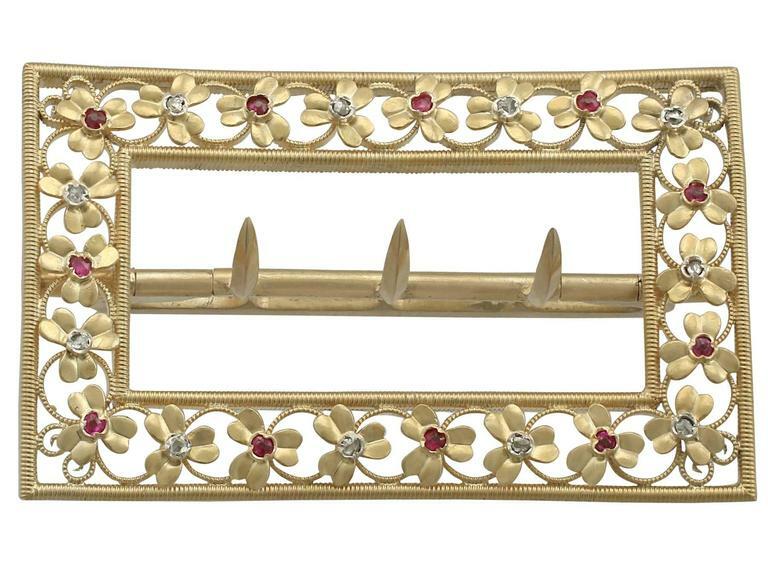 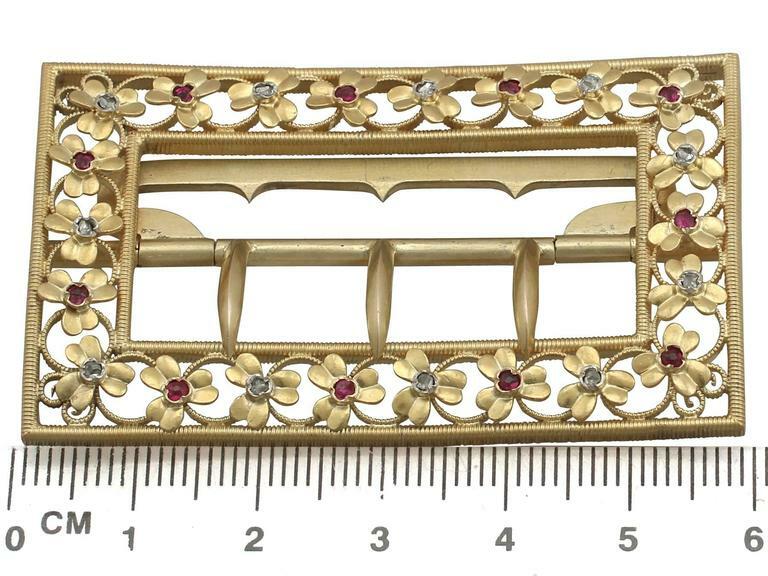 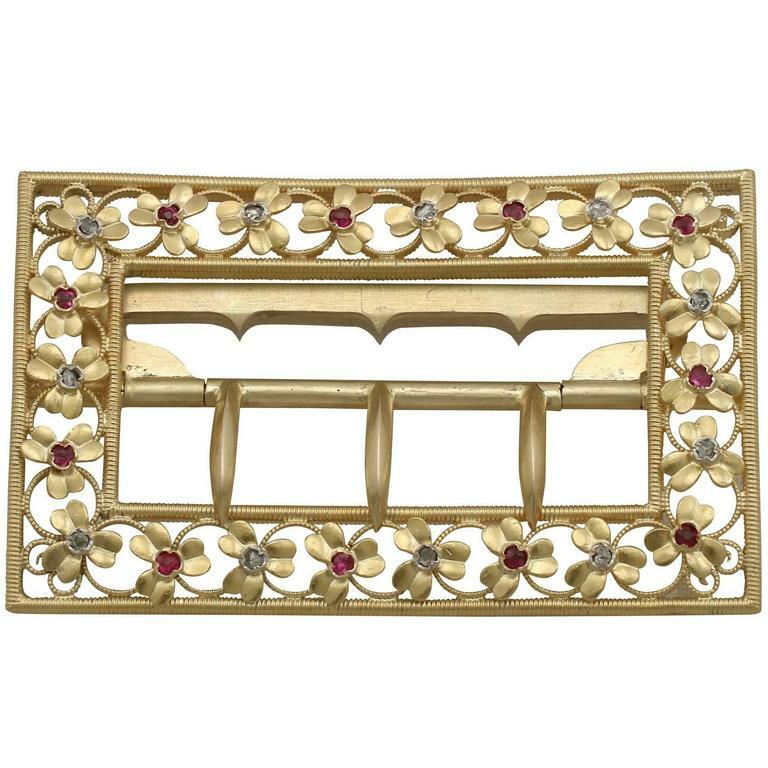 The buckle is an exceptional gauge of gold and is in excellent condition. 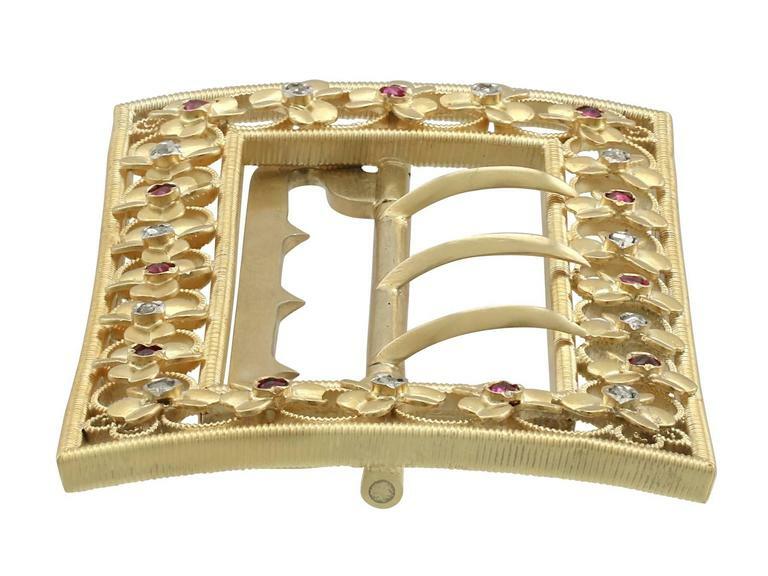 Large belt buckle, designed as a hammered sterling silver round disc with a gold Native American figure at front.